If you want this book in Spanish visit El Rosario para los Ni�os en Espa�ol. 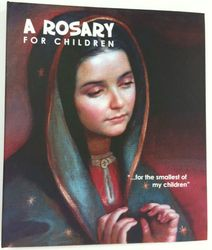 A Rosary for Children by Maria Guadalupe Cevallos Almada with images of Our Lady of Guadalupe and Jesus by Maestro Jorge Sanchez Hernandez. 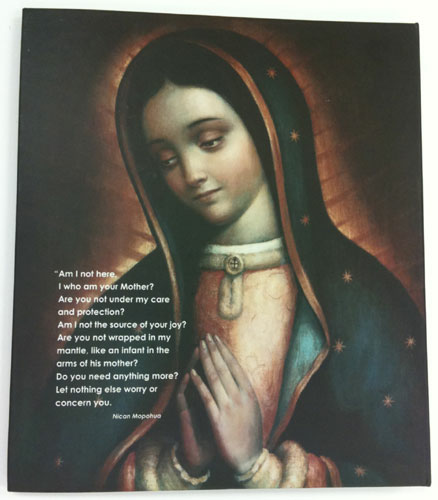 "..For the smallest of my children"
Our Lady Rosary book for Children with beautiful Mexican Baroque Style paintings of Our Lady of Guadalupe and Jesus Christ by Maestro Jorge Sanchez Hernandez. This book is in English, we also have available the original version in Spanish, very successfully sold in Mexico. Learn with your children how to pray the Catholic Rosary together with your family and friends. Also, look at beautiful paintings and images of the Virgin Mary and Jesus that explains step by step how to pray the rosary with love. 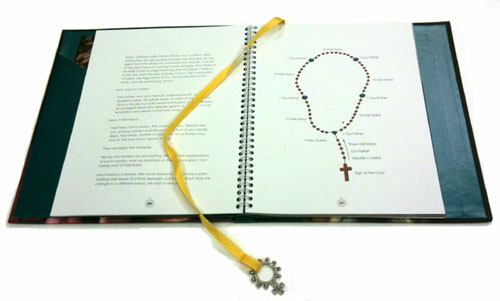 Do you know what the Rosary is? How to pray the Rosary from the beginning, the ending, the litanies. Teach your children and students how to understand and pray with devotion and joy the rosary. The Annunciation, The Visitation, The Birth of Our Lord Jesus Christ, The Presentation and the Finding of Jesus in the Temple. Jesus is baptized in the Jordan River, The Weding at Cana, Proclamation of God's Kingdom, The Transfiguration and the Institution of the Eucharist. The Agony in the Garden, Jesus is scourged in the pillar, the crowning with thorns, Jesus carries his Cross and Jesus is crucified. The Resurrection, The Ascension, The descent of the Holy Spirit, The Assumption of the Blessed Virgin Mary and the Corronation of the Blessed Virgin Mary. More about Las Nanas de la Cebolla (The Onion Nannies) why this name? This group from Mexico City is promoting how children should learn to pray together the rosary in a very easy and devoted way. The group is integrated by: Isabel Alverde de Ruiz, Rosa Mary Alverde de Sommer, Ma. 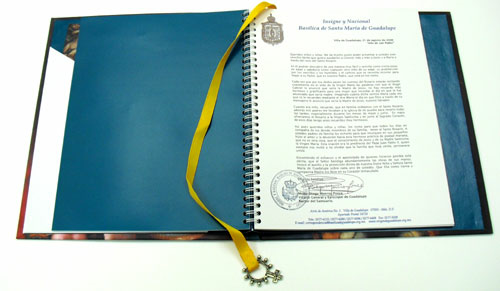 Guadalupe Cevallos de Rosillo, Susana Correa de Said, Mari Obregon de Marmolejo, Amelia Obregon de Moch, Ivonne Ostler de Rojas, Viviana Ramos de Said, Ma. Guadalupe Redondo de Peterson and Fabiola Ortiz de Ruiz. A family member gave me this book--the prayers and the images are just beautiful--highly tasteful art by Jorge Sanchez Hernandez, and the meditations are very good for children about 7 + years of age. Highly recommended! !